In terms of global lithium hotspots, you can’t go much better than Nevada, USA. This particular region hosts Tesla’s gigafactory, which has ignited interest in the electric vehicle (EV) market and is set to change the face of vehicle manufacturing. Another EV manufacturer seeking to move into the area is the US based, Chinese backed, Faraday Future who are hoping to take some market share from Tesla. This electric car maker has big ambitions to beat Tesla Motors in electric cars and build a $1 billion auto plant in North Las Vegas, about 400 miles south of Tesla’s giant Nevada battery factory. Finally, the other big player in Nevada is lithium producer Albermarle. After the US$9.1BN Albemarle closed its acquisition of Rockwood Holdings and Rockwood Lithium in early 2015, it became the heavyweight in the lithium space with net sales of approximately $508.8M for 2015 alone. Lithium expert Joe Lowry refers to Albemarle as the lithium superpower . In fact CAD now will hold lithium brine properties associated with gravity lows in three of the best emerging basins in Nevada. Drilling at Lida Valley will commence in a few weeks into a gravity low that could result in a major lithium brine discovery, down the road from Tesla. To add to these projects, CAD recently signed a Binding Terms Sheet to acquire a 100% interest in two high impact lithium brine exploration projects: the 4000 acre Scotty’s South – Sarcobatus Flats Lithium Brine Project and the 4200 acre Columbus Marsh Lithium Brine Project. These projects are also well-situated, close to Tesla and Faraday. The following map gives you an indication of CAD’s projects and just how well they are positioned. 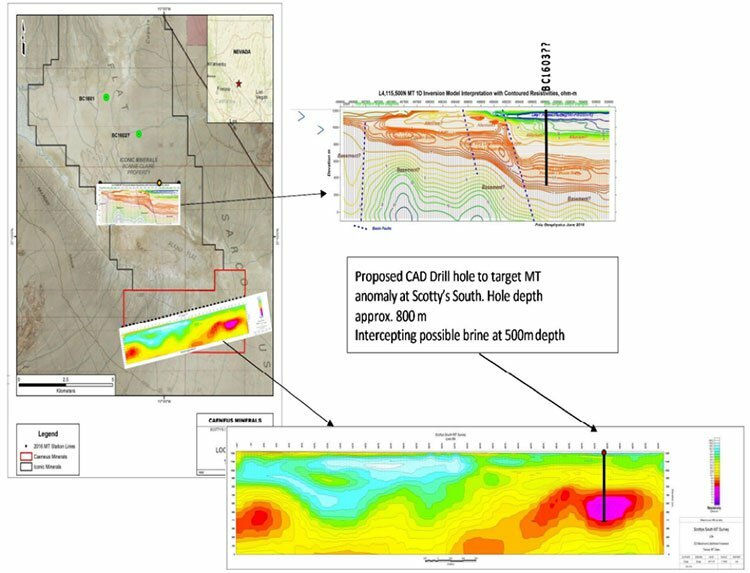 Scotty’s South offers CAD the chance to have a very close look at the biggest discrete gravity low associated with a lithium enriched closed basin in Nevada; while Columbus Marsh covers approximately 4,200 acres primarily located in a large closed basin and in the lowest sump in the region. All this land acquisition is part of the $13M capped CAD’s broader play to become the largest ground holder in the region. 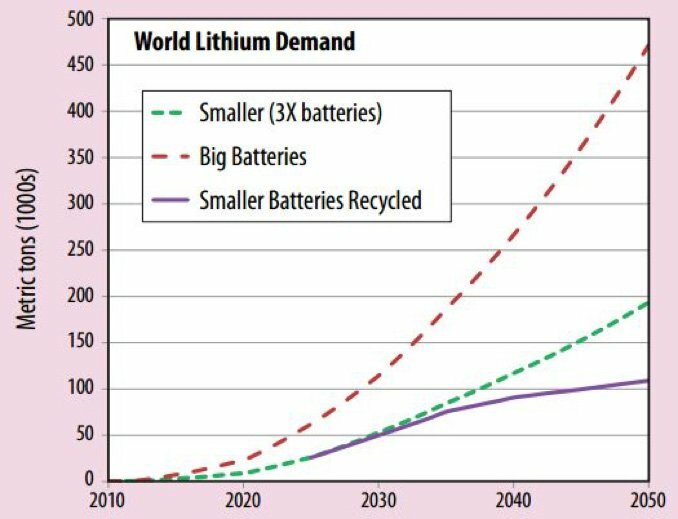 With strong demand growth forecast for lithium over the coming years driven by its integral use in the production of lithium-ion batteries, the competition is fierce and the hunt for lithium rich deposits is on earnest. 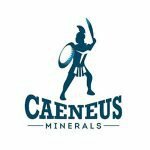 In March 2016, Caeneus Minerals (ASX:CAD) struck a Heads of Agreement with private company Nevada Metals Pty Ltd to acquire a 100% stake in the Lida Valley and Muddy Mountain Lithium Projects. 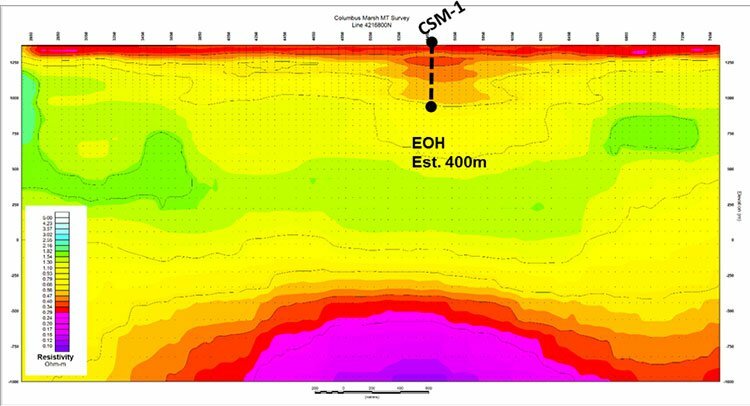 Since then CAD has completed a detailed ground survey to determine if a significant sedimentary-evaporative basin underlies the area, with results to date suggesting this is the case. These results will lead to the first drilling operations in August just a few weeks away from now. The $1.23M from the issue of over 410 million shares at 0.3c each to sophisticated investors will help to help it do so. CAD is also seeking strong support and receiving funds from the $0.003 options which do not expire until December 2020. You can read our initial story on CAD in April titled: Up the Road from Tesla: ASX Junior Moves into USA Lithium . So how will the market react to a successful lithium drilling campaign, so close to Tesla? Another lithium focused stock that we have been covering since last year points the way to how a successful drilling campaign can pan out for a micro capped lithium explorer. We first wrote about Prospect Resources (ASX:PSC) back in October 2015 , with our most recent article released in June alerting to readers to lithium drilling. Will CAD make a similar move on successful lithium drilling results? With $1.2M in the bank, CAD intends to accelerate its lithium exploration at all projects, and will be hoping for a similar kind of market reaction. Recently , CAD conducted a ground-borne gravity survey at Lida Valley – which confirmed the presence of a significant gravity low in the east of the company’s tenements. This is a predictor of the presence of a sedimentary basin which can contain evaporate sediments and lithium-bearing brines. The basin discovered in the survey extends past the northeast boundary of CAD’s initial leases which have since been extended to include the unclaimed portion of the basin. Drilling will begin and is designed to intercept and sample lithium brines. If CAD can intercept these brines, then further drilling will be completed with the goal to prove up a lithium resource. 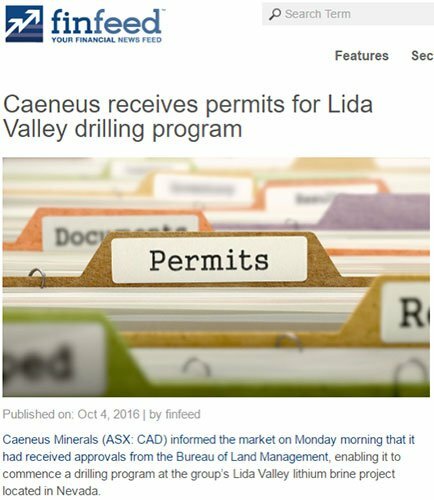 The upcoming drilling program at CAD’s Lida Valley project could see the stock rapidly re-rate on success. Again, this is speculation on our part and should not form the basis of your investment decision. Take all aspects of the company into account and a cautious approach to your investment decision. Both lithium projects, Lida Valley and Muddy Mountain, are 100% owned by CAD after being approved by shareholders at its recent AGM. 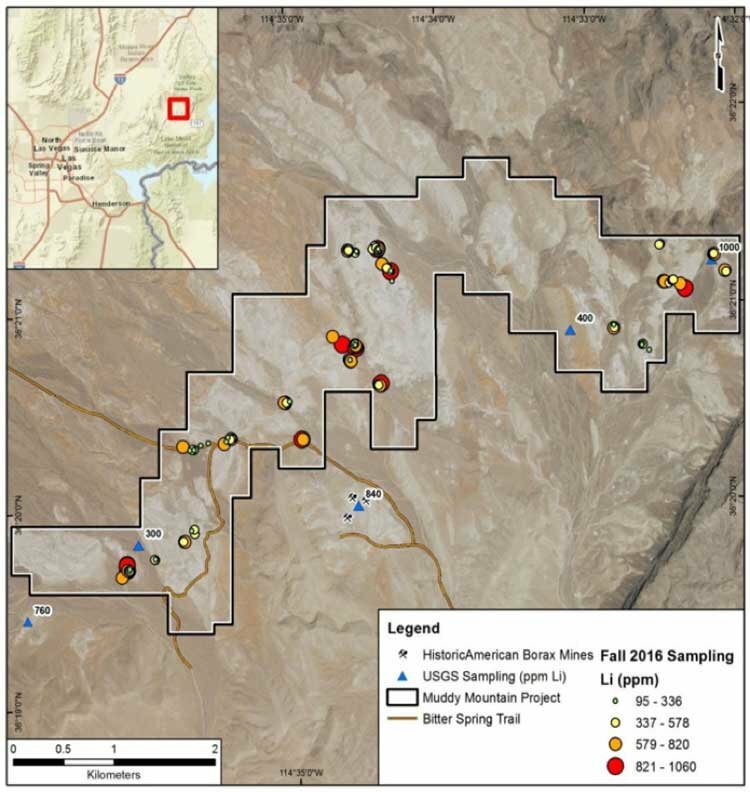 The approximate 2,620 acres that make up the Lida Valley lithium project are located 220km northwest of Las Vegas and within 40 kilometres of the Silver Peak Lithium Mine of Albermarle Corporation LLC (NYSE:ALB), market cap US$9.1 billion. This is the only lithium producing mine in the entire United States of America – and CAD’s lithium project is just 40km away. As with Albermarle’s mine at Silver Peak, lithium at Lida Valley is found in liquid brine deposits, making it significantly cheaper and easier to extract than from hard rock. The Lida Valley Project, like Silver Peak’s Clayton Valley, is a significant regional Intermontane Basin with a drainage area of approximately 150km 2 , and is considered by CAD to be an ideal location for the development of lithium rich brine deposits. About two-thirds of the world’s lithium resources are within brines/salts. 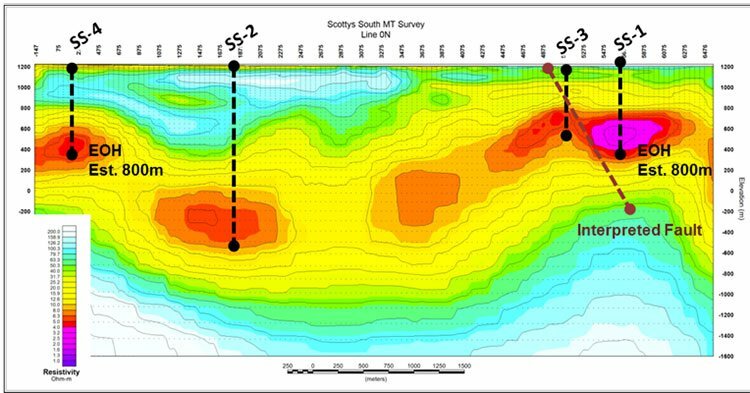 Data from the ground-borne survey confirms the presence of a significant gravity low in the east of the Lida Valley Lithium Project. A significant gravity low was detected, indicating the presence of lithium brines. This low stretches 1.5-2km wide and 3km long, and offers a significant target for CAD to explore with its upcoming drilling program. The planned drilling program consists of 7 to 10 drill holes which will aim to intersect high quality lithium brines as found in nearby projects. Should such brines be intersected then further drilling will be completed to further define the resource. Being located adjacent to Route 95, a major highway, the Lida Valley site is easily accessible and will significantly reduce infrastructure and shipping costs. It is also situated just kilometres from Tesla, a company that wants to source all its raw materials within North America. Should CAD be able to prove up its lithium resource, it is in a prime position to supply the commodity to captains of industry such as Tesla who look to be forever changing how the world sources and uses energy. Located 50km north east of Las Vegas the 2,542 acres Muddy Mountains is a potentially high impact ‘district-scale’ lithium clay project. 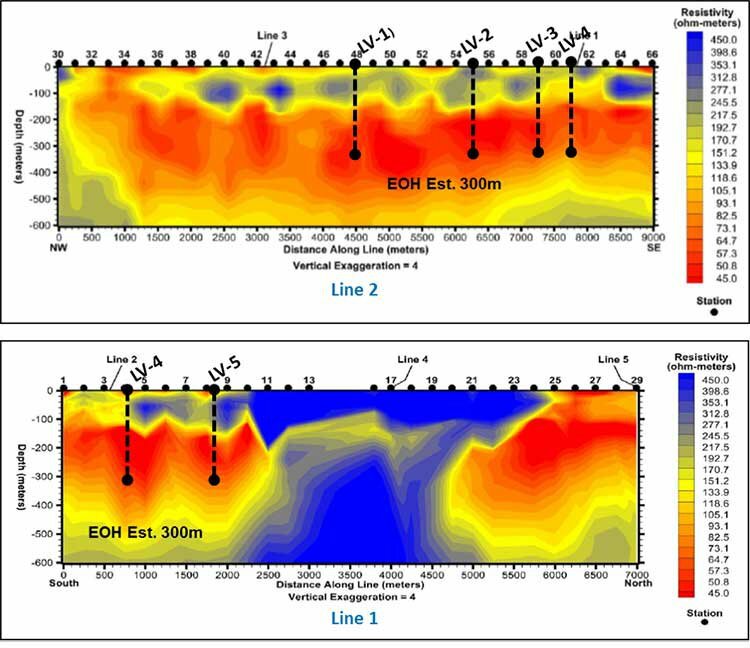 Historic sampling results reported by the US Geological Survey in the area show strong anomalous lithium with greater than 1000 parts per million lithium in the Horse Spring Formation where Muddy Mountain sits, with a channel several kilometres long representing a world class exploration target. An analogy to the Muddy Mountain Project may include the nearby Kings Valley Project of Western Lithium Corporation (TSX: WLC) – 27 Mt @ 3,950 ppm Li; and the Sonora Lithium Project of Bacanora Minerals Ltd (TSX-V: BCN) – 60 Mt @ 3,000 ppm Li. The association of boron at the Muddy Mountain Project also suggests potential similarities to the world class Jadar Project, Serbia of Rio Tinto Group (125.3 Mt @ 1.8% LiO2, 12.9% B2O3). Muddy Mountain Project showing channel outline and sample locations. The lithium clay deposits (hectorites) display potentially cheaper operating costs compared to other hard rock projects such as pegmatites. Lithium clays are generally able to be mined using simple open-pit methods, reducing both time and costs of operation. During CAD’s recent site visit to the area, other highly sought after tenements in the region were inspected, with a view to further acquisition as it looked to shore up its position in the Nevada area. Some of those acquisitions are now on the table. CAD has entered a binding term sheet with Perth based private company ATC Resources Pty Ltd to acquire a 100% interest in the Scotty’s South – Sarcobatus Flats and Columbus Marsh lithium brine projects. As ATC has entered into binding option agreements with Gold Exploration Management Inc. (GEM) to acquire Scotty’s South – Sarcobatus Flats and Columbus Marsh, the payment by CAD is a little complex . However, put simply CAD, is to issue ATC with 100,000,000 fully paid ordinary shares at $0.003 per CAD Share plus 100,000,000 free attaching unlisted options exercisable at $0.005 on or before 30 June 2021. CAD must also pay GEM 60,000,000 Shares at a deemed issue price of $0.003 per CAD Share; and a cash payment of US$81,000 payable on the execution of the Terms Sheet. Note, US$20,000 has already been paid by CAD. There is also a deferred consideration of US$170,000 over the next four years. The acquisitions will expand CAD’s Nevada lithium portfolio at a time when staking high potential lithium ground is extremely competitive. Following the acquisition, CAD will hold lithium brine properties associated with gravity lows in three of the best emerging basins in Nevada: Lida Valley, Sarcobatus Flats and Columbus Marsh. These three assets complement its Muddy Mountains play. Here’s another in-depth look at CAD’s assets in the region and their positional importance. As you can see, each of CAD’s assets is situated in close proximity to either Tesla or Faraday and thus CAD could be well positioned to strike a lithium offtake deal should it prove up a commercial lithium resource in future. The Scotty’s South – Sarcobatus Flats Project consists of 200 claims totalling approximately 4,000 acres and is close to Clayton Valley, the location of the producing Silver Peak world-class lithium brine mine. The valley associated with the project is over 30km long and 20km wide, and where streams from an approximately 2,000km 2 drainage basin empty. The source rocks are quartz-rich volcanics that contain anomalous amounts of lithium. What attracted CAD is the presence of highly anomalous concentrations of lithium, encountered from preliminary surface sediment sampling programs in the region. Sampling of salt flats within the valley previously found lithium values in salt samples ranging from 50 to 340ppm. There are also several important similarities between Sarcobatus Flats and a Clayton Valley type lithium brine deposit. The property is located in a closed structural basin, contain similar stratigraphy and occupies a lacustrine environment with similar regional hydrogeography and geochemistry. In essence, Sarcobatus Flats could be seen as an under-explored analogue to Clayton Valley. 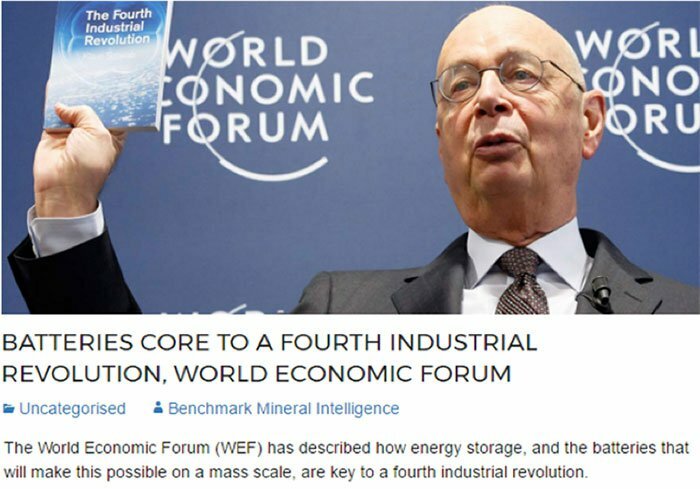 The question is: can it produce the same kind of world-class lithium brine? The Sarcobatus Flats Project is contained on the south-eastern flank of the valley – the deepest area – with controlling fault structures highly prospective for trapped brine horizons. Here’s the pictorial view and the map showing where the 200 claims exist. The Columbus March project offers similar locational advantage for CAD. 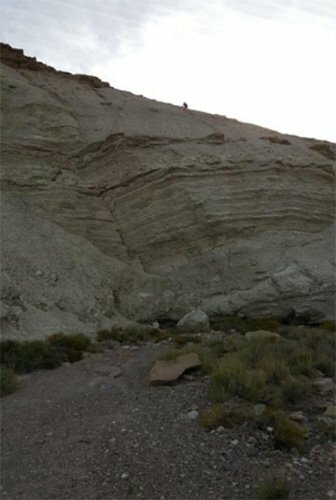 Past analysis of waters from springs in Nevada led to the identification of an area containing anomalous amounts of lithium northwest of the Clayton Valley area. Fish Lake Valley and Columbus Salt Marsh were found to contain waters with relatively high lithium and potassium concentrations. At Columbus Salt Marsh, reconnaissance sampling indicated anomalous amounts of lithium in the shallow ground waters of the southwestern part of the playa. The highest concentration of lithium in the ground-water samples is 64 mg/1. The relatively high lithium concentrations in this area could be derived from waters concentrated after leaching source rocks having high soluble lithium content, similar to those present in the Fish Lake Valley area, or the high values may simply represent subsurface flow from Fish Lake Valley. Based on US Geological Survey data (surface and auger sediments and clays) the basin is anomalous and fertile. Subsurface exploration should be undertaken to determine if a lithium-rich brine exists at depth – and that is what CAD will set out to do. Note how Fish Lake Valley feeds Columbus Marsh. So as you can see these latest pending acquisitions are all about location and real estate and CAD appears to be making a big lithium real estate play. When it comes to real estate it’s all about location. Geologically speaking if there is a large lithium deposit in one area, it is highly likely that there will be others in close proximity. In terms of location, CAD’s Lida Valley and Muddy Waters projects, as well as its two coming acquisitions, have several factors in their favour. 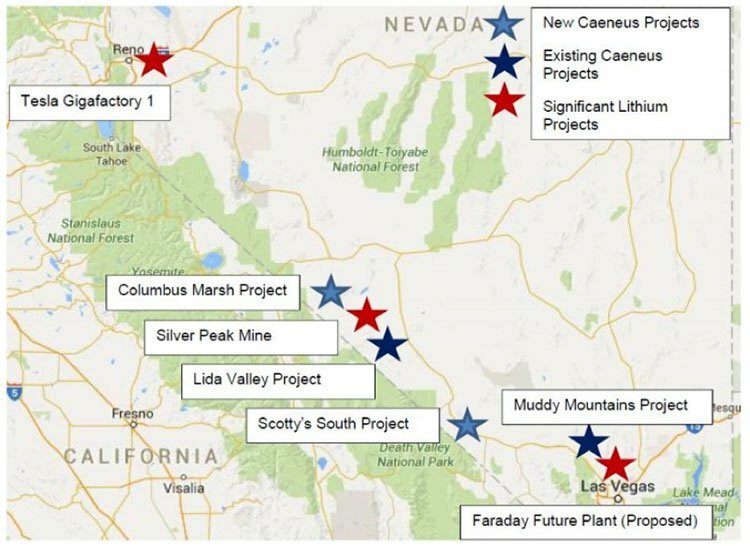 Firstly, as we have pointed out above, CAD’s Lida Valley project and Columbus March Project are located within close proximity to the only producing lithium mine in the US, Albermarle’s Silver Peak Lithium Mine. Lida Valley is just 40km away. The $9BN capped chemical giant Albemarle, who owns some of the largest lithium operations in the world in places like Chile, currently holds a monopoly on lithium production within the United States. The Silver Peak mine was acquired by Albermarle at the beginning of 2015 from Rockwood Holdings. Albemarle’s Silver Peak lithium operation 40km from CAD’s Lida Valley. Not only is the Lida Valley project in close proximity to the Silver Peak mine, the type of resource is similar, making it a good comparison for the future potential of CAD’s lithium brine deposit. Seeking to rival Tesla in the electric vehicle market is newcomer Faraday Future, who plans to have its first vehicles rolling off the assembly line in 2018. The $1BN Faraday Future production plant will be within a few kilometres of is CAD’s Muddy Mountains and Scotty’s South lithium projects, making it the ideal neighbour. Of course there is no relationship yet and CAD is some way from proving up its resource, so when considering this stock for your portfolio take all factors into account and seek professional financial advice. Future sales are too early to forecast for Faraday, however the promising factor is that this is the second electric automobile manufacturer that sees value in being close to the highly prospective lithium region in which CAD’s projects sit. Would Tesla spend $5 billion and Faraday Future $1 billion on production facilities in the middle of the desert if there wasn’t the potential for large lithium reserves to be discovered in the area? Wessner, VP of Global Supply Chain at Faraday Future, left, Ding Lei, co-founder, Global Vice Chairman at See Plan at LeEco, second, Nevada Gov. Brian Sandoval second right, and Dag Reckhorn, VP of Global Manufacturing at FF. CAD’s Lida Valley and Muddy Mountains projects are also situated near the US$5BN Tesla Motors Gigafactory that is currently under construction. Tesla Motors are proposing to commence large scale production of lithium-ion battery cells in 2017, further increasing demand for the already in demand resource. The automobile manufacturer has previously indicated it intends to source its raw material requirements exclusively from North America, making CAD well positioned to service this demand should a commercial size resource be discovered. Following through on this intent is the announcement of a supply agreement between Tesla and the $51.3M capped Pure Energy Minerals who holds a similar lithium deposit type that is near CAD’s Lida Valley Lithium Project. This deal is a new concept in the world of battery manufacturing and could be a sign of things to come as lithium dependent manufacturers seek to secure steady supply of raw materials rather than face a shortage. With Tesla actively eyeing off potential suppliers of lithium and CAD’s exploration efforts progressing, could we see the Aussie explorer CAD come onto Elon Musk’s radar? Tesla’s Gigafactory in Sparks, Nevada. 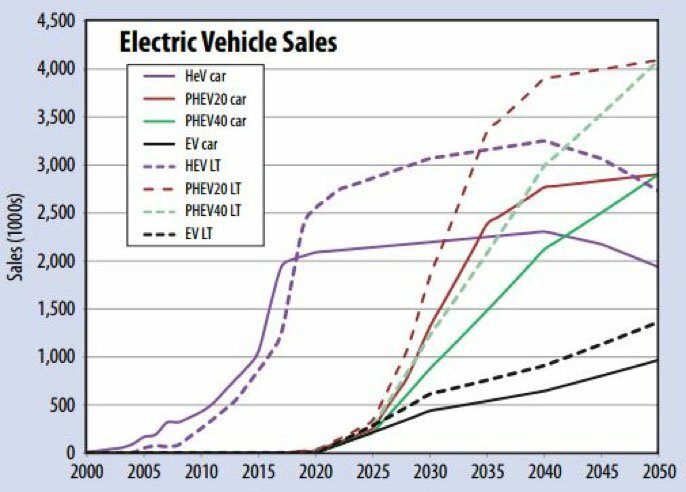 Last time we covered CAD, we looked into the electric vehicle market , but the Tesla connection goes further than just EVs. What’s more is recent news that Elon Musk’s Tesla is seeking to acquire one of his other companies, SolarCity , which focuses on solar power delivery systems. What could this mean for CAD? The electrical grid system that we all grew up with is seemingly on its way out. Modern technology surrounding solar power and localised energy storage is seeking to revolutionise the way we power our homes and appliances. It seems the only thing CAD needs to do is shore up a decent resource, as demand appears to be taken care of. All eyes will be on CAD’s drilling at Lida Valley and Muddy Mountains that are scheduled to begin in the coming weeks. The planned drilling program at Lida consists of 7 to 10 drill holes which will aim to intersect high quality lithium brines as found in nearby tenements. If drilling results at Lida Valley come back as hoped, CAD will seek to leverage the growing demand for lithium in bringing its projects one step closer to production, via defining commercial lithium resources. Further to its current two lithium projects, we are also now awaiting the completion of the acquisition of the Scotty South and Columbus Marsh projects. With CAD’s projects being geographically located in-between Tesla’s Gigafactory and Faraday Future’s future production plant, CAD holds prime lithium real estate should a commercial resource be available for extraction within its project locations. If the lithium boom continues, CAD could become hot property.